Mumbai: The mum and daughter dream team, Priyanka Chopra and Madhu Chopra, are all set to hit Netflix with their Marathi production, Firebrand. The movie will premiere exclusively on the online streaming giant on February 22 and features award-winning Marathi actors such as Usha Jadhav, Girish Kulkarni, Sachin Khedekar and Rajeshwari Sachdev. Firebrand is directed by National Award winner Aruna Raje and also the first digital venture that Priyanka and Madhu Chopra’s production house Purple Pebble Pictures has made. 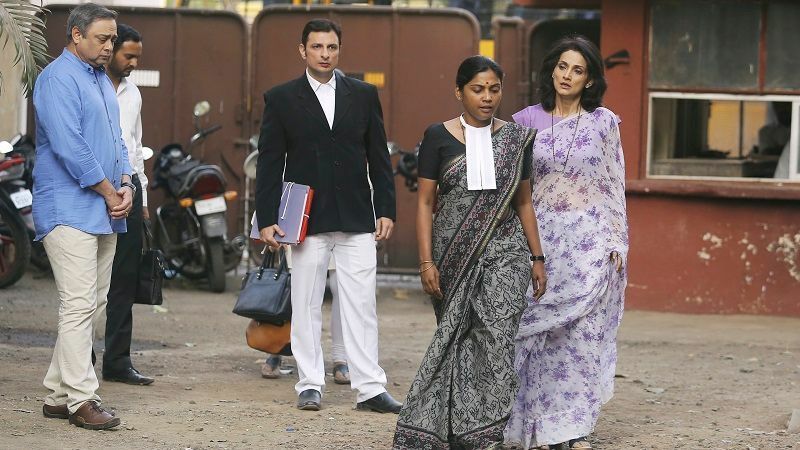 The movie follows the life of a successful lawyer who herself is sexual assault victim, played by Usha Jadhav, who is dealing with PTSD. She tackles difficult family cases while also coping with intimacy issues in her own marriage. Girish Kulkarni expertly essays the role of her husband Madhav Patkar, an architect by profession.